Online shoe and clothing retailer Zappos is determined to help by opening up "Closets for Good" in some of our neediest schools. 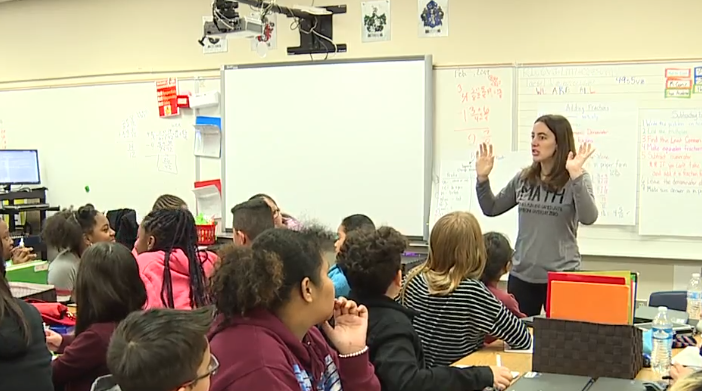 LAS VEGAS (KTNV) — Online shoe and clothing retailer Zappos is determined to help students by opening up "Closets for Good" in some of Clark County's neediest schools. When 5th grader Layla got hot in school, she couldn't take off her sweatshirt. She wasn't wearing anything underneath. So the staff at Rundle elementary school reached out to Layla's mom and invited her to visit the "Closet for Good" to pick up items for all four of her kids. "It is stressful. And it did take a burden off my shoulders," she said. The closet is full of clothes, shoes, and school supplies. It even has the necessities for families like shampoo, toilet paper, and food. The items in the closet are stocked by Zappos' staff and free to families. "They can't think and learn if they don't eat. This is the basic needs. If we can fulfill those basic needs, we can educate them," said Principal Dr. Lenette Reece. About 30 percent of students at Rundle are considered homeless. "We have the best students in all of the Clark County School District. It's amazing they all landed here at Rundle. I'm a little biased," Dr. Reece said. The idea for this closet came from Marcela. She's a Zappos employee who was principal for a day at this school - saw the need - and asked Zappos to help. Before the closet, teachers helped kids out of their own pockets. And kids like Allison - who just wanted to get Valentine's gifts for her siblings - would've been out of luck. But not anymore. "I didn't need anything. I felt like my brother needed shoes. And my sister needed a sweater. So I got her one," she said. Zappos hopes to eventually create a plan where customers can help fill the closets. 13 Action News will have continued updates about the program.